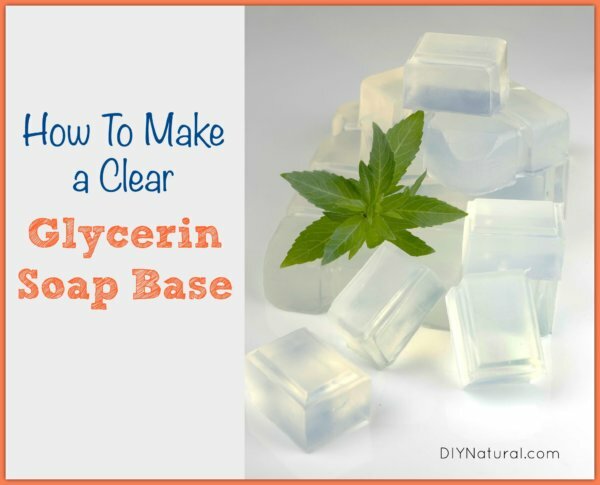 This is a basic recipe for how to make glycerin soap that is clear. It takes a bit of practice to get it clear. My first batch turned out cloudy and I think it was because the soap base I made wasn't dissolved enough. Take your time and be patient! Cover work surface with newspaper. Always use gloves and safety goggles when handling lye. (Learn all about lye in soap making.) Have vinegar on hand in case lye spills or splashes occur. Measure water into a heatproof container. Measure lye and slowly add to water, stirring until dissolved. (Never add water to lye.) Allow lye water to cool to 150°F. Mix all of the oils together and heat to 135°F - it's easiest to use a slow cooker for this. Add the lye water to the oils in a slow steady stream. Bring the mixture to a trace, or when it looks like vanilla pudding. An immersion blender works best for this. Keep the heat at medium for a few hours, much like making crock pot soap. When it reaches the gel phase, it will look translucent like petroleum jelly. Stir once in a while, but not all the time. If it gets too thick, you can use a potato masher. I have a stainless steel one I use just for this. Be very careful as alcohol has a low flash point and can start on fire. This is why I prefer the crock pot to the stove for heating. You may need to mash the soap up some. Do a bit at first, then do more in a little while. If you mash too much at once, you may get a lot of suds. This process can take a few hours, so be patient. When the soap is all dissolved, there will probably be a few particles floating on top. These are impurities and must be removed. Skim them off and throw them away, or you can place them in a jar, cover with hot water, and use for dish soap. When the soap is fully dissolved combine 8 oz sugar and 5 oz water and boil until the sugar is completely dissolved. Do not leave any crystals undissolved. When it is totally liquid, pour into the soap base. Stir and cover, then cool to 145°F. Now you can pour it into a mold. I use a glass cake pan. Cover with plastic wrap and let sit for a week or so. When it is clear (it may take a week or two) then cut it into pieces and store in a glass jar.